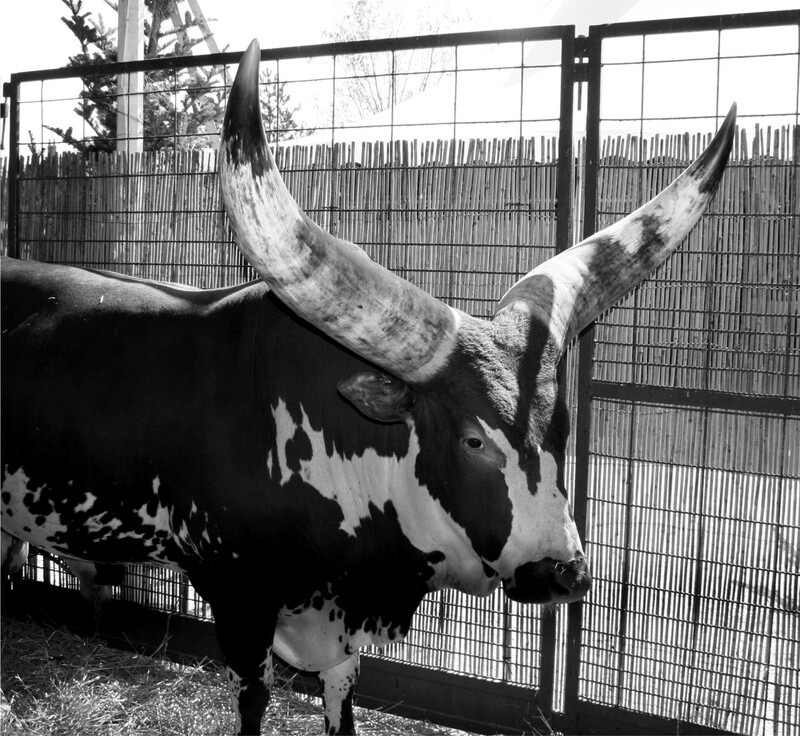 This week, the subject for Cee’s Black & White Photo Challenge is horns and, as I discovered when I went through the photo files, they come in all shapes and sizes. 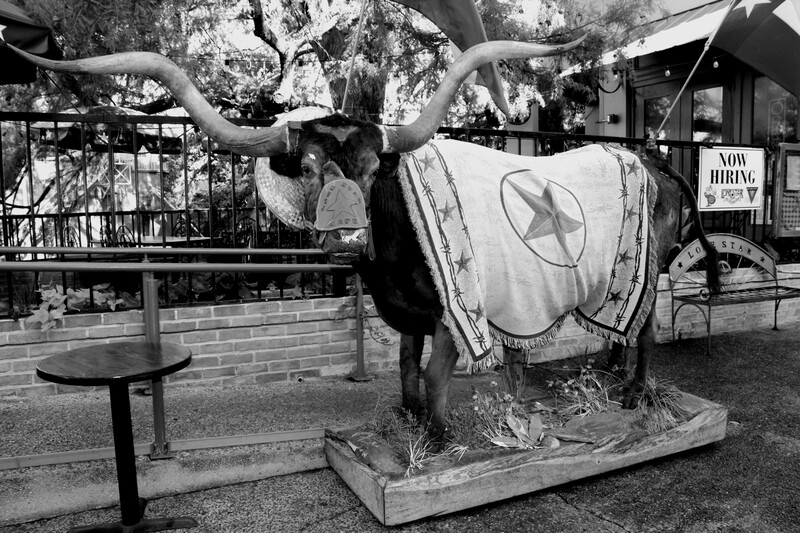 The only longhorn that we saw in Texas was this one, stuffed and mounted, on display outside a restaurant in San Antonio. Personally, I’m always happy to have a fence between me and any animal that has horns like either of these two critters. 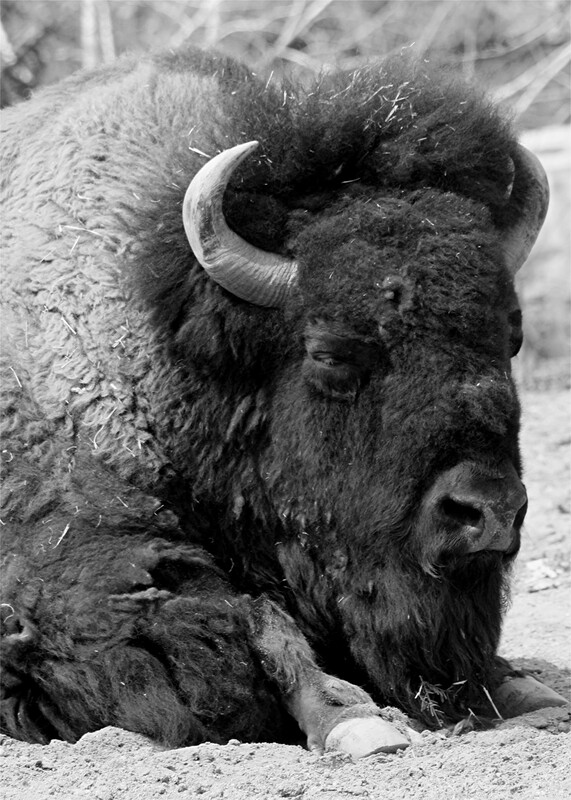 One close encounter with a bison in South Dakota was more than enough for me. This one was safely lounging in an enclosure at Brookfield Zoo. 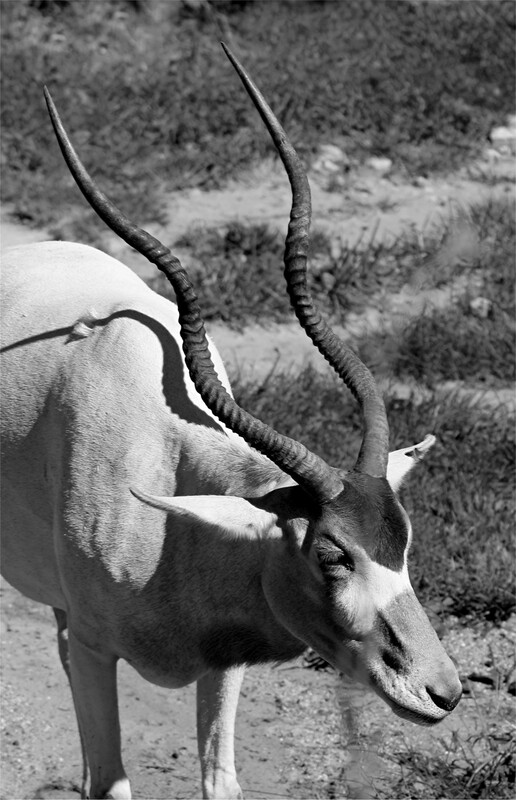 These are some of the prettiest horns I’ve seen, belonging to an addax antelope, also at Brookfield Zoo. 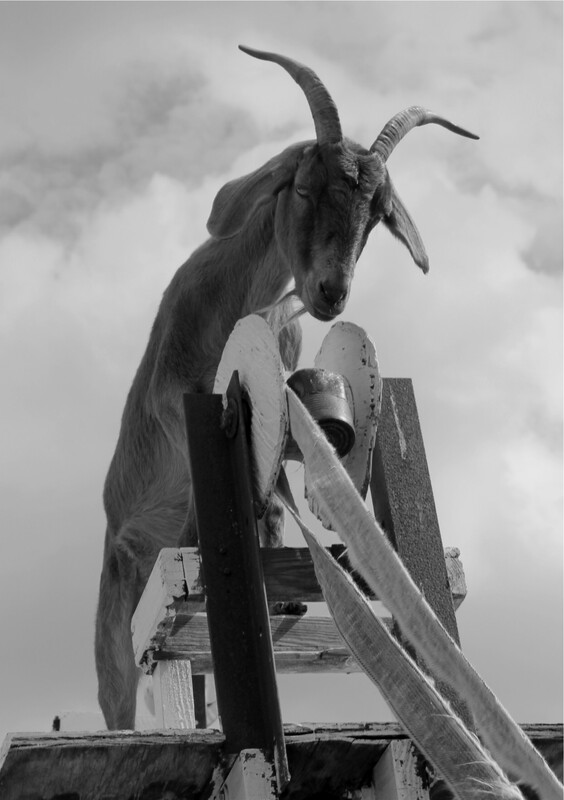 And last but not least, some impressive horns on an energetic goat waiting for food to be delivered on a pulley system at a farm in Lowell, Indiana. The grandkids had a great time sending up bucket after bucket. 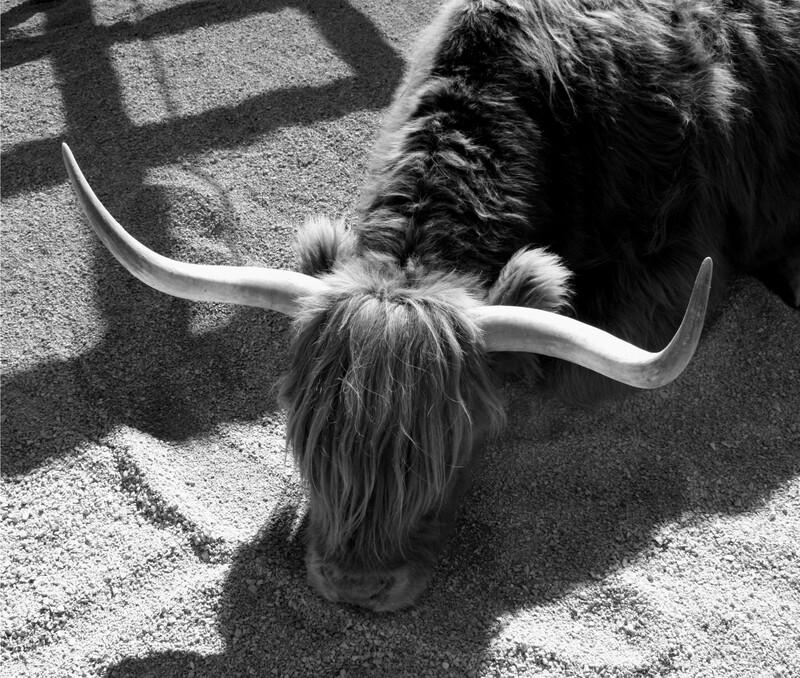 For more on Cee’s Black & White Photo Challenge go to Horns.